Welcome to PUMPKIN WEEK! These amazing Creamy Pumpkin Chicken Enchiladas are going to change the way you think about pumpkin. 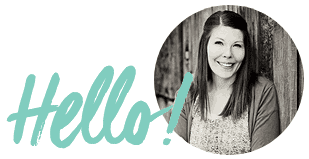 Cassie from Wholefully and I have been planning this week for months, and I’m so excited that it is finally here. We are sharing 7 full days of new pumpkin recipes on our blog,s and then we’ll share one massive round-up of all the pumpkin recipes we have on our sites. There are so many delicious things coming your way. Be excited! Today Cassie is sharing a recipe for perfect Whole Wheat Pumpkin Waffles. These freeze great so make a double batch today and eat them again in a few days. I love pumpkin for breakfast. Creamy pumpkin chicken enchiladas is something that I’ve been so excited to share with you, I thought I better post it first. This is your favorite Mexican meal meets fall, and you are going to love it! You make a simple enchilada sauce with pumpkin, Greek yogurt, and spices. It doesn’t take a lot of time, but the flavor is creamy and rich. The color is really pretty too. The insides of the enchiladas are stuffed with peppers, onion, chicken, and pumpkin! If you can’t get a fresh pumpkin (I had a super hard time finding them this year…), then you can also use butternut squash; both are delicious. I love the sweet and creamy sauce combined with all the spice and boldness that the peppers bring. You are going to love it. 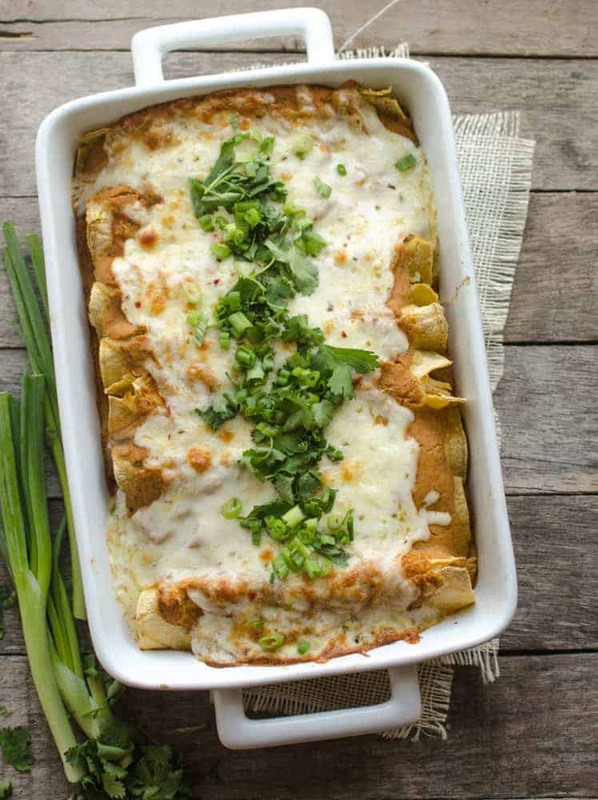 Really, you could fill these enchiladas with just about anything you wanted and top them with that great pumpkin enchilada sauce, and they would be delicious. Play around with it and see what your family loves! I served this with a side of my super easy blender salsa and some fresh peaches, and we were all in heaven. Craving more? Subscribe to Bless this Mess to get new recipes, meal plans, and a newsletter delivered straight to your inbox! If you try these pumpkin chicken enchiladas, let me know what you think! Leave a comment, pin it, and don’t forget to tag a picture #blessthismesseat on Instagram. I love to see your kitchen skills in action! 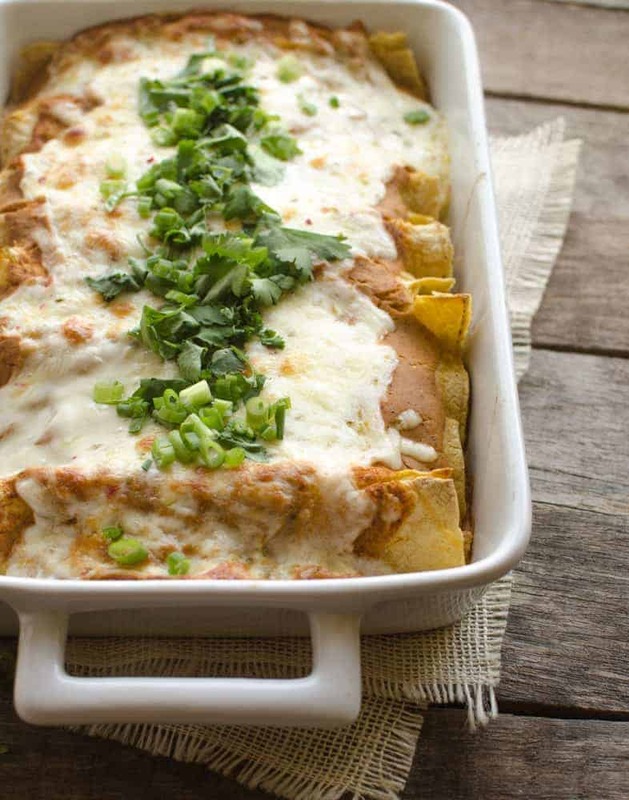 Just when you thought enchiladas couldn’t get any better, we added pumpkin! In a large skillet over medium-high heat add the olive oil, onion, bell pepper, and cubed pumpkin. Cook until the vegetables start to soften, 6-8 minutes. Add the jalapeno and garlic and cook another minute. Remove from the heat and stir in your chicken. Add salt and pepper to taste (don’t be shy here, vegetables need salt). To make the enchilada sauce, which together all of the ingredients until smooth. Preheat the oven to 350 degrees and spread a cup of the enchilada sauce in the bottom of a 9 inch by 13 inch baking dish. Warm the tortillas in the microwave for about 30 seconds so that they are easier to work with. Place a 1/4 cup of the vegetable and chicken mixture in each tortilla and roll. Place the rolled tortilla seam side down in the pan and repeat until your pan is full. Cover the top of all of the rolled enchiladas with your remaining enchilada sauce. Use the back of a spoon to spread it out evenly over the tops. Cover the top with the grated cheese. Bake until the edges start to bubble and the cheese melts, about 25 minutes. Garnish with chopped cilantro and green onion and serve hot. I love all things pumpkin! I started growing sugar pumpkins in my garden a few years ago and having them on hand is the best. I have found that the easiest way to cook a fresh pumpkin is in the slow cooker. You sure can use normal canned pumpkin from the store, but if you have fresh around, try the slow cooker method. Are you obsessed with your slow cooker (best $40 ever!) as much as I am? Stay tuned for a full week of recipes. 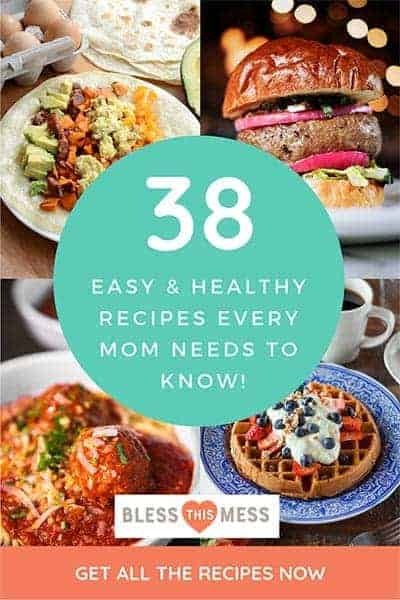 You are going to get some savory, sweet, healthy, and indulgent, and I promise you are going to want to make every single recipe that we’ve prepared for you. Feel free to pin, share, and tell all your friends, because no one will ever have too many pumpkin recipes, amiright?! 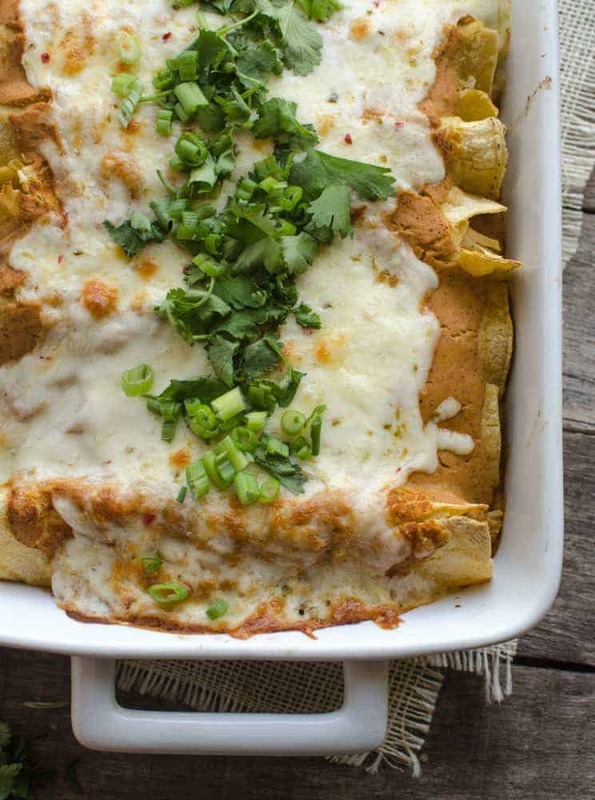 Thanks so much for being here, and enjoy these pumpkin chicken enchiladas! This looks great! However, just me at home. 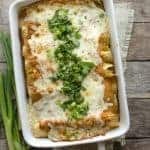 How would it do if I left out tortillas, shredded cheese and froze some of it for later meals? Love punkin! I think it would work great! The sauce might break a little then you freeze and thaw it but I think the flavor would still be great. I’d totally try it. Long live punkin!